If you are searching for affordable, reliable tree stump removal in Toledo, the you've come to the right place. 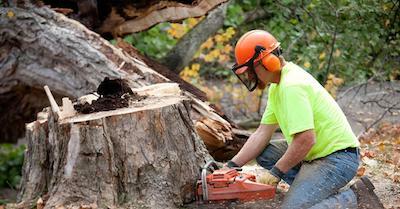 Tree Removal Toledo makes it easy to get rid of any size stump, clearing your space and making it more attractive. Having tree stumps in your yard in Toledo is not only an eye sore, but it leaves your property less functional, as well as less valuable to others. Removing tree stumps in Toledo doesn't have to cost an arm and a leg, and thanks to Tree Removal Toledo, getting a low price is easier than ever before. Having dead stumps in your Toledo yard can also affect the surrounding landscaping, and also lead to pests and insects, so it's best to get rid of them as soon as possible. Quality / Experience - it's important to work with professionals that have experience with stump removals in Toledo. Some inexperienced stump removal pros may end up not removing the entire stump and it's roots, and even worse they can cause damage to your property. Reliability - everyone's hired a contractor that quotes a low price, goes over budget and takes way longer than expected to complete the job. Here at Tree Removal Toledo we pride ourselves on our reliability, which means we will show up and complete the job when we say we will, without hidden or surprise fees. Low Costs - we know that removing stumps in Toledo can be expensive and is most likely your top concern when looking to hire an arborist. This is why we have the lowest costs in the Toledo area, and offer simple, transparent pricing that is easy to understand. As you can see, Tree Removal Toledo is the best choice for all of your stump removal needs in Toledo and the surrounding areas. If you'd like to get a price quote or schedule service, simply complete the simple online quote form or call us at (567) 218-0786 right now. You won't get better prices or better service on tree stump removal service in Toledo anywhere else!